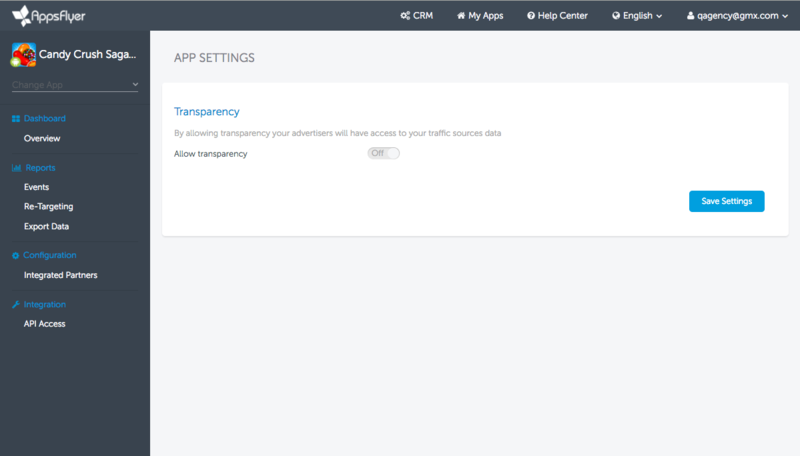 By allowing transparency, agencies enable advertisers to view all of their traffic data for the app they are promoting. From your account you can select the app that you want to provide transparency for. 2. Switch Allow Transparency to On. Only the account admins of agencies are able to set transparency to On or Off. Once transparency has been activated, all data is available to the advertiser, including historical data. When deactivated, transparency is no longer available to the advertiser.